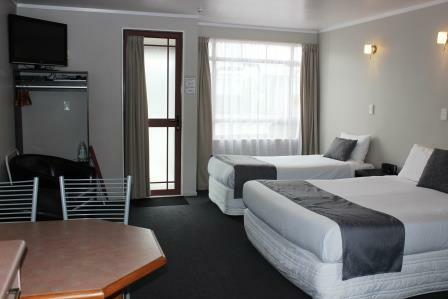 Studio room containing queen and single beds with ensuite facilities. 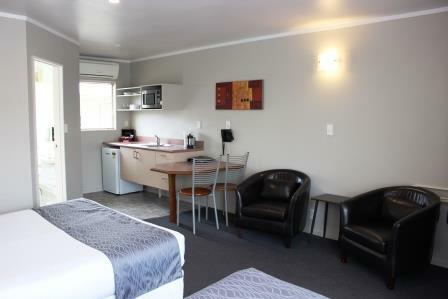 This room is equipped with LCD television with digital Sky TV, DVD player, Kitchen and Airconditioning / Heat Pump. With our Studio options we have a number of variations available. The difference between a Twin and Triple Spa studio is the bathroom. There is also a Private Garden Studio that has it’s own garden area accessed from the unit to a garden area which is popular in Summer. 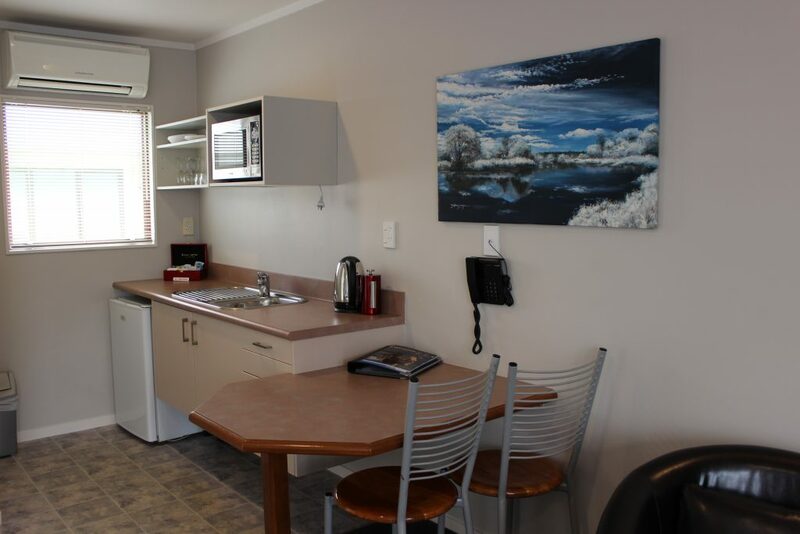 If unsure of which Studio Type you prefer please call our reservations team to discuss.